Need more reason to buy? 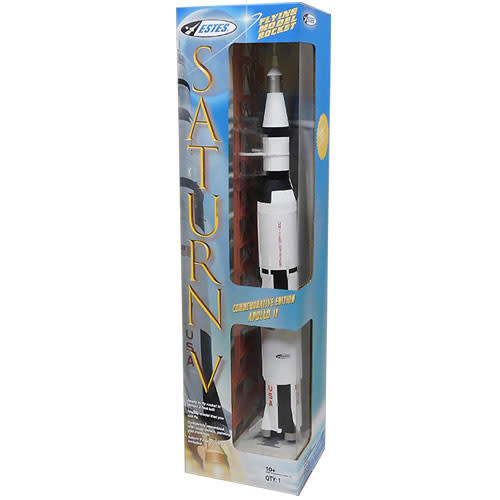 Look inside your Saturn V box for a special free poster offer from Estes! 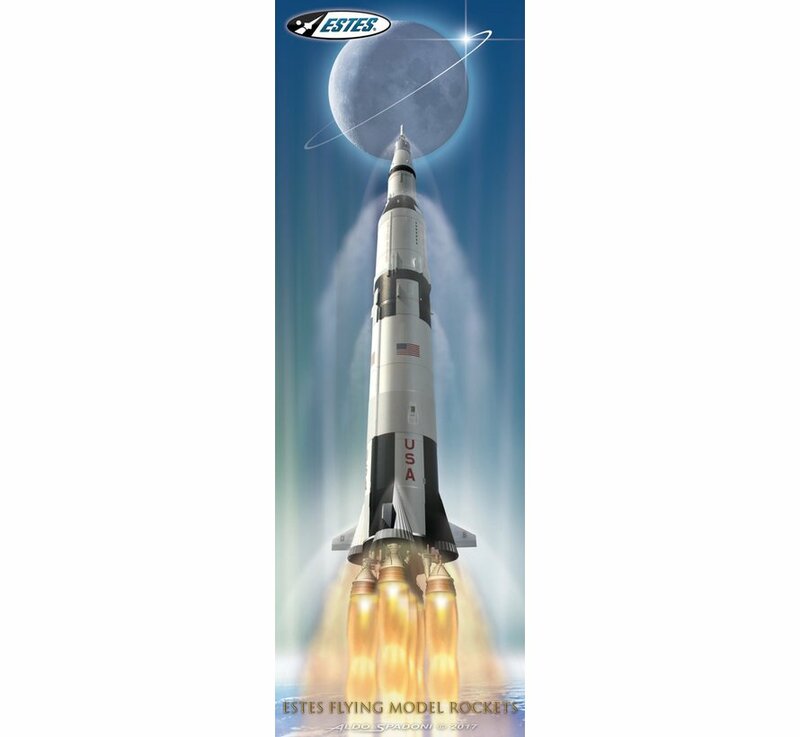 We will send you this beautiful Saturn V poster at no cost to you! Created by Aldo Spadoni, this limited edition, 10″ x 30″ poster will brighten up any space! Get yours while supplies last! 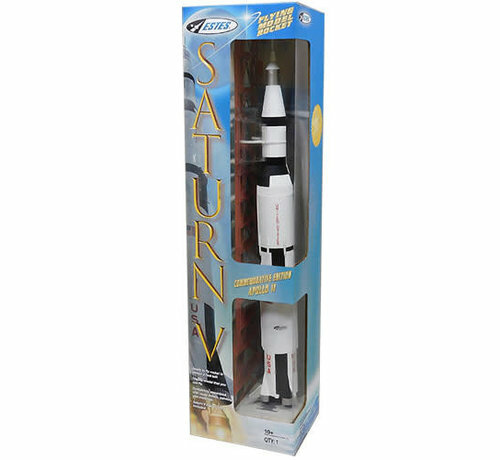 This scale model rocket looks great as a decorative piece, mounted to the included display stand, and can also be launched! 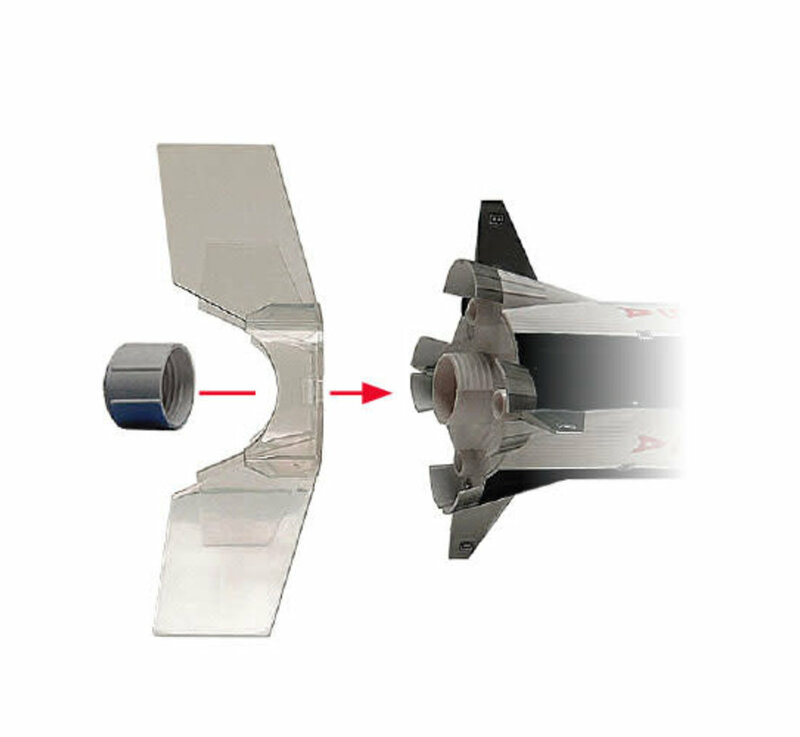 To launch, simply attach the included clear fin unit, and hit the launch pad with a C6-3 engine! 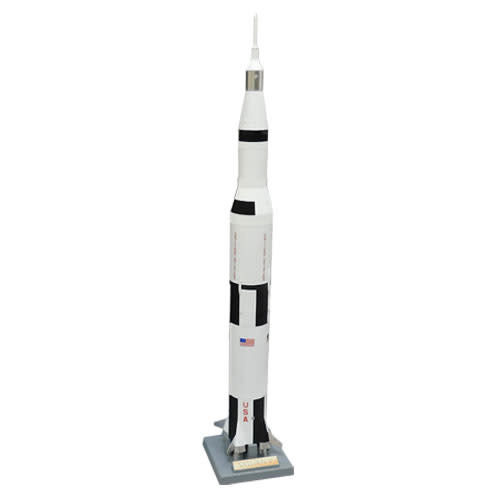 As the tallest, heaviest and most powerful rocket ever produced, the original Saturn V was a 3-stage rocket that stood 363 feet high (110.6m), weighed approximately 6.2 million pounds and generated 7.6 million pounds of thrust at lift off. At just over 36 stories tall, it stood about 60 feet taller than the Statue of Liberty, making it quite an impressive site on the launch pad. 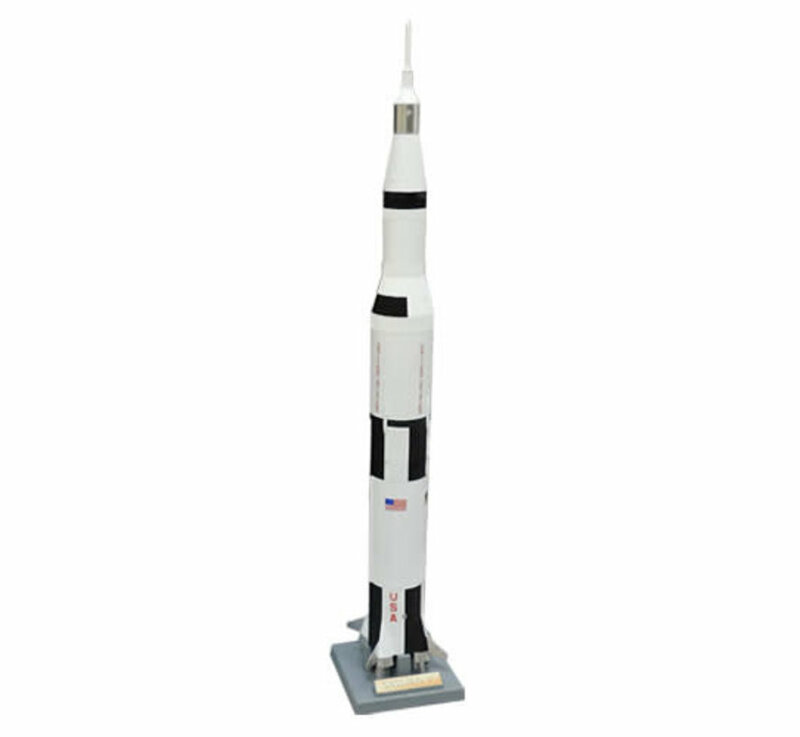 The Saturn V was at the heart of NASA’s Apollo and Skylab programs as it was able to launch a 45-ton payload beyond low earth orbit, which was necessary for sending men to the moon. 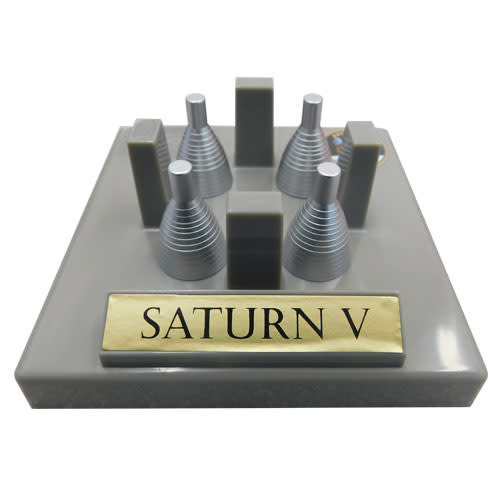 A total of 13 Saturn V launches took place between 1967 and 1973, delivering 24 astronauts successfully to the moon and back to earth. 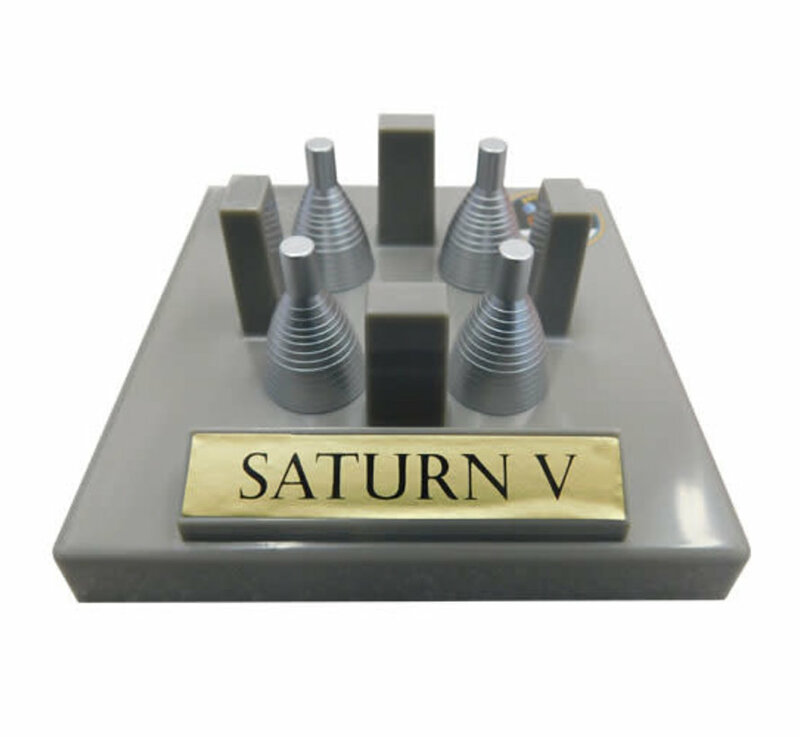 The first launch of the Saturn V rocket was during the Apollo 4 mission of 1967, and was a crew-less launch meant to test the rocket. The first launch with a crew occurred in December of 1968 during the Apollo 8 mission which sent astronauts in orbit around the moon but did not land. Apollo 9 added another piece to the puzzle as the moon lander was tested by flying in Earth’s orbit, and Apollo 10 saw the lander launch to the moon, testing its space flight again without landing. 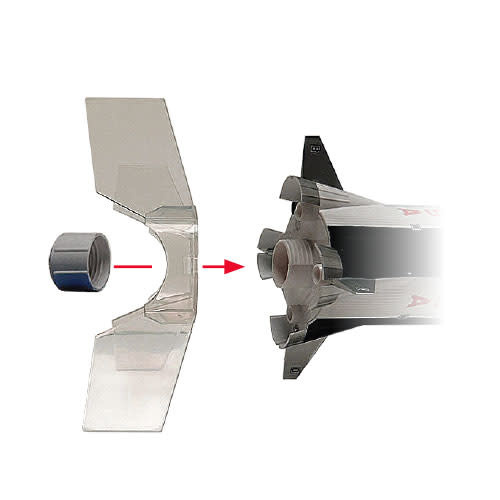 Then came Apollo 11 in 1969, changing the space race forever! 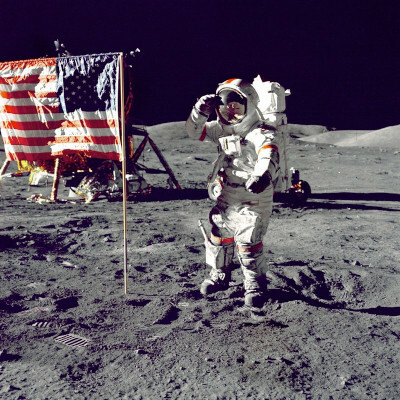 We were finally able to land astronauts on the moon and take that famous first step into the future. 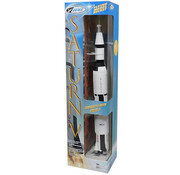 Successful missions followed with the Saturn V rocket, landing astronauts on the moon during Apollo 12, 14, 15, 16, and 17. 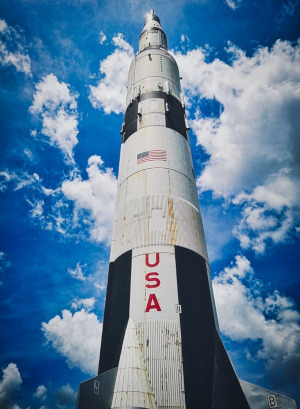 The last launch of this historic rocket came in 1973 when it was used to launch the Skylab space station into Earth orbit.